In the nineties, Boy Meets World was one of the best TGIF shows. It was one of those series that made everyone feel okay as they were going through the madness of life and growing up. 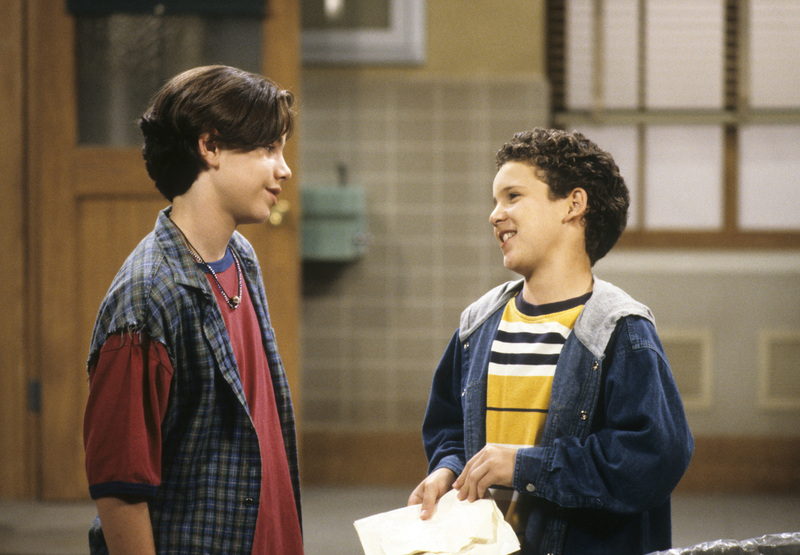 For seven seasons, Cory Matthews and his friends navigated their way to adulthood. 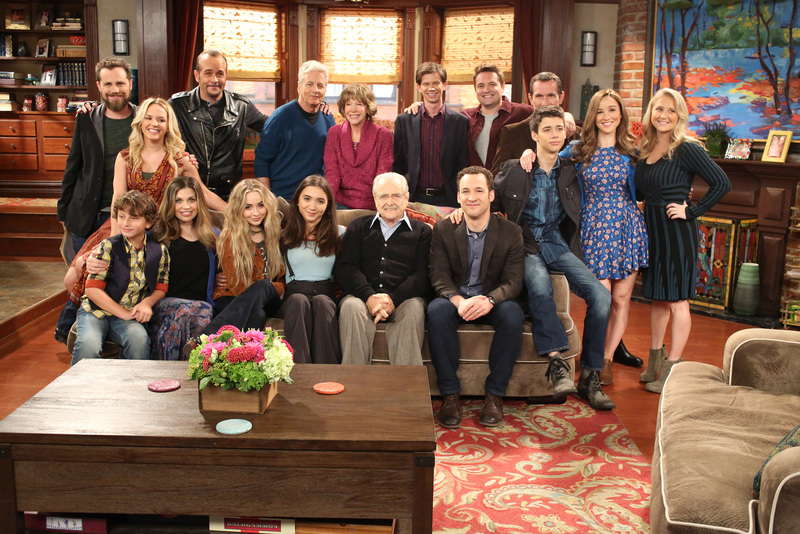 In 2012, old and new fans got a revisit thanks to Girl Meets World. But, let’s dive in and see how everyone else fared after the show ended in 2000. There are some bits of information fans might have known about the show. 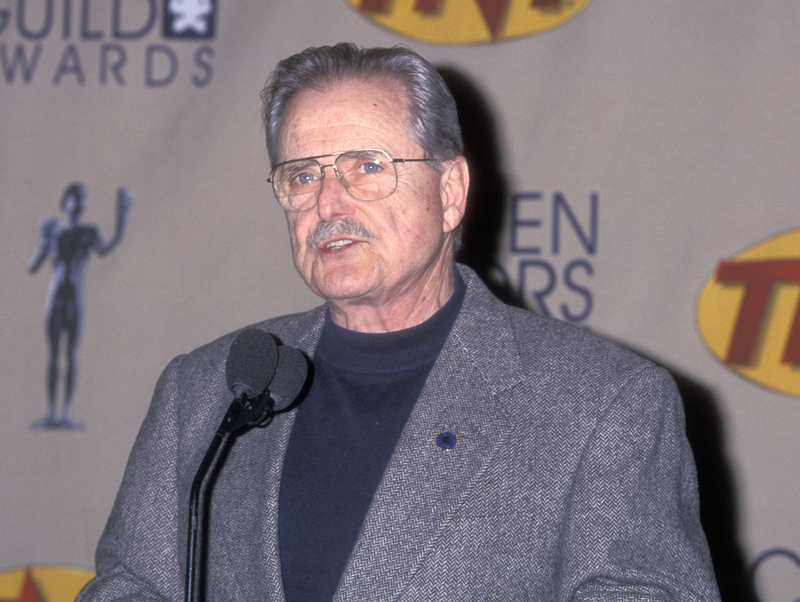 What’s Cory, Mr. Feeny, and the rest of the gang up to now? During the first three episodes of the series, Cory has two friends, not just Shawn. Originally, it was going to feature Cory’s friends as a group, rather than a duo. The showrunners kept rotating in actors but the characters didn’t stick. The cast called the cafeteria chair the “death chair,” meaning that the actors would never return. But, in the episode “Cory’s Alternative Friends,” Topanga was introduced and the idea of another best friend was lost. In the episode “Cory’s Alternative Friends,” Shawn calls his sister Stacy. In later episodes, it appears that Stacy Hunter is non-existent. The reason has to do with the original plan for Cory to have two best friends. In the original script, Stacy wasn’t Shawn’s sister. While filming the episode, the actor who was going to play one of the friends was fired. 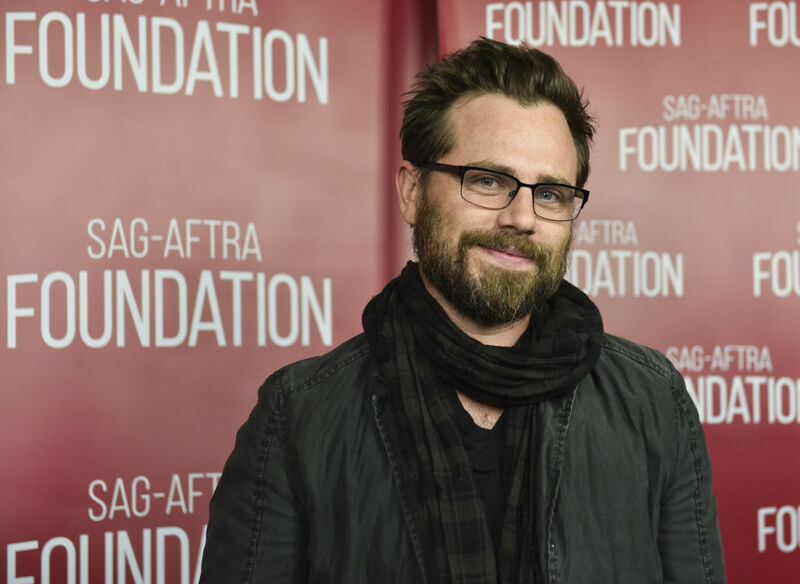 At the last minute, actor Rider Strong was given all of the lines. At first, Topanga was going to be played by another actress, but it didn’t work out. On Fishel’s first day, she made the character more upbeat and happy. Co-creator Michael Jacobs had a meeting with her and told her he wanted the character to be more a slow, calm individual. Fishel was terrified that she’d lost the part like the actress who played Topanga before her, so she spent all night practicing the part. Despite this, the young cast did everything they could to stick together, especially if it came to school. He said in front of the writers and producers and her co-stars. Jacobs wasn’t going to fire her because he believed in her. If they had called him two miles later, the characters name would have been Canoga, which is the next exit. Just like the classroom environment of the show, the set itself revolved around a classroom. 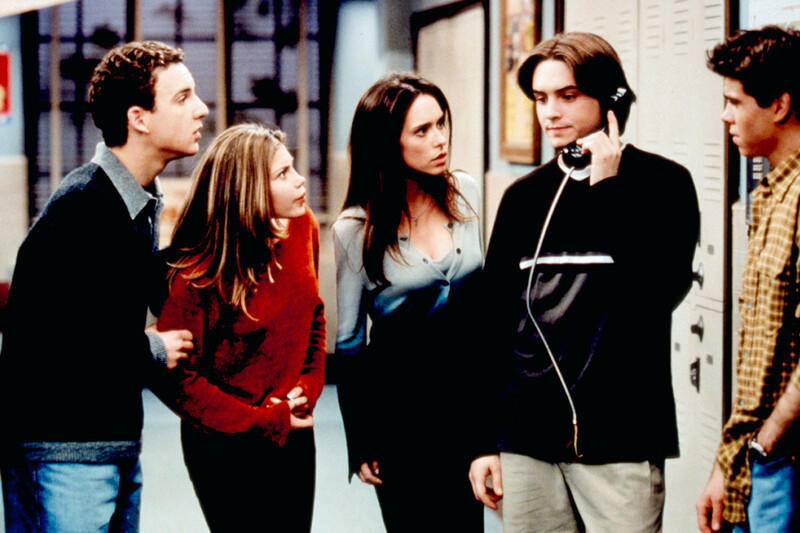 Throughout the early seasons of the show, Savage, Strong, Fishel and Will Friedle were still in the school. 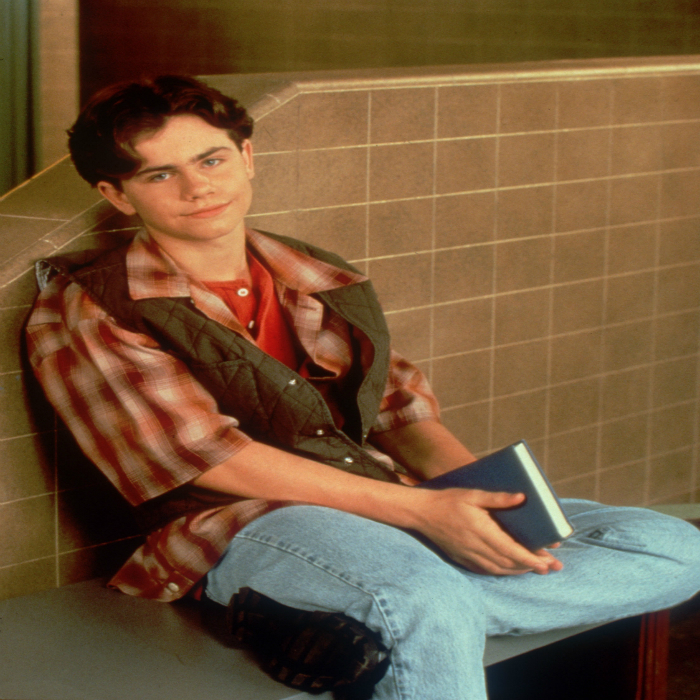 There’s a reason why Rider Strong and Will Friedle couldn’t film scenes together. Many fans, especially girls, were drawn to Shawn’s haircut. However, Strong didn’t feel the same way. He wasn’t even allowed to change it at all. After the show wrapped up production, Strong went off with a nice souvenir. 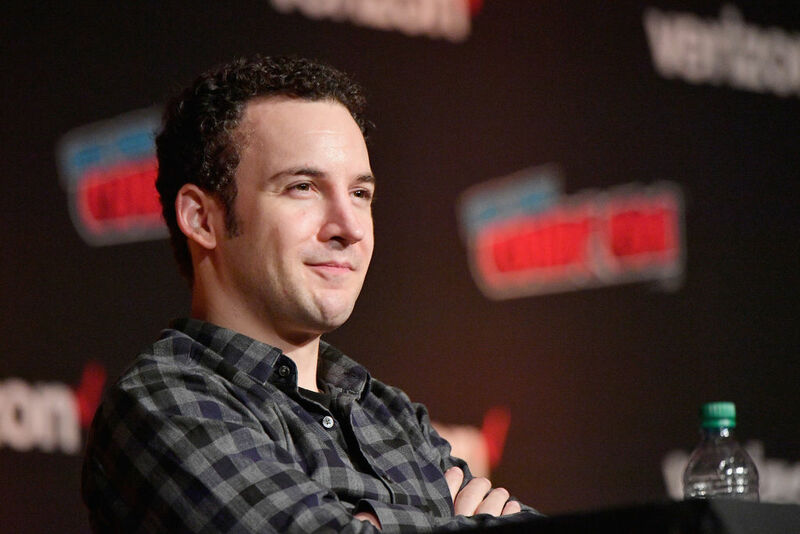 During a Boy Meets World reunion panel in 2013, the actor came clean as to what he stole. “Disney wouldn’t let us take anything, but I had a leather jacket that I had bought on my own, and I swapped it.” Later on, someone stole the jacket from his car in Brooklyn. His co-star, Ben Savage, admitted to stealing a pair of shoes. No, the two didn’t hate each other or anything like that. It had to do with being too funny while filming scenes. During the BMW panel reunion, Friedle came out in the open about what happened. “They never let Rider and I do scenes together because we would look at each other and start laughing, so I think over seven years, we had, like, five scenes together.” As you can tell, they had fun with their jobs. For some reason, the show skipped some grades. Many fans of the show believe that John Adams High School is a nod to William Daniels career. In 1969, Daniels starred as John Adams in the Broadway Musical 1776, and he made an appearance in the film version as well. Another interesting bit of information about his career came from his character. Mr. Feeny calls The Graduate a “great film” only because Williams played Mr. Braddock in the movie. Now, he didn’t mentor the kids, but the child actors were intrigued by Daniels. Initially, they thought he was British since he came across as very proper. There was one instance where the show leaps ahead in time. In season one, the kids are in sixth grade. In season two, they’re in the seventh grade and entering high school. Then, in the fourth season, the characters suddenly jump into the eleventh grade. By the time it’s the fifth season, it represents their senior year and they graduate from high school. Somewhere in there, a couple of grades were left out. It might have to do with the actors growing up. 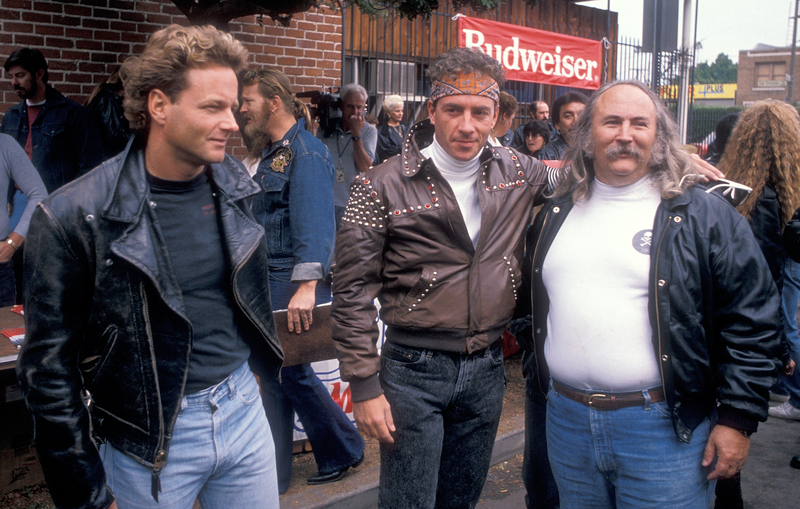 Whatever happened to Jonathan Turner after his motorcycle accident in the fourth season? Jennifer Love Hewitt may have been a well-known guest star, but there’s more. The future star of Parks and Recreation, Adam Scott, played school bully Griff Hawkins. Meanwhile, Freaks and Geeks actress Linda Cardinelli spent a few episodes breaking up Cory and Topanga. The same year that Clueless came out in 1995, a young Brittany Murphy played Trini for two episodes. What’s more surprising is Blake Sennett, who played Joseph “Joey the Rat” Epstein, is the lead guitarist for Rilo Kiley and The Elected. What Happened To Stuart Minkus? He was upset because Cory, Shawn, and Topanga never spoke to him. Since his appearance on the show, Norris appeared in another popular series. This time, he played Marvin “Mouth” McFadden on One Tree Hill. After the teacher gets into a life-threatening motorcycle accident, he never appears on the show again. He did, however, seem to make a mysterious return in the spinoff Girl Meets World. Remember his pal from the news network who taught media relations? 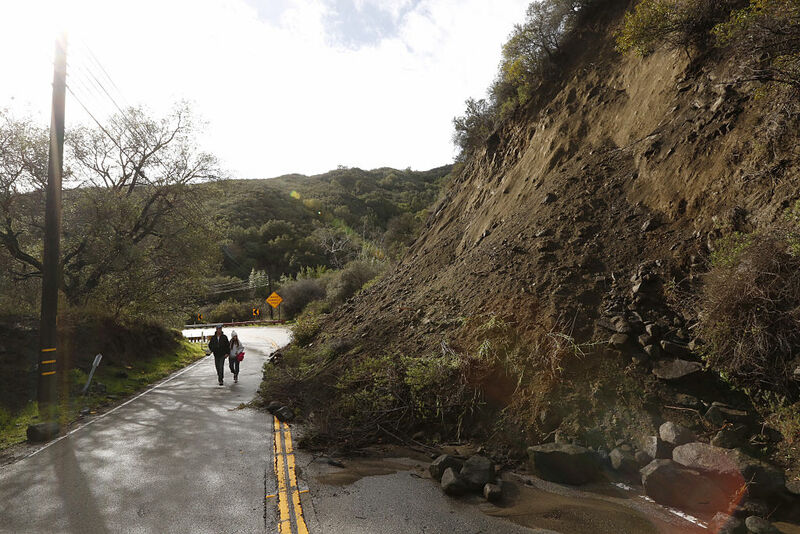 We’ll get to Eli Williams just ahead. In the first two seasons, Lily Nicksay played the youngest of the Matthews family. Suddenly, a few episodes into the third season, Lindsay Ridgeway took over the role of Morgan. There wasn’t a clear explanation about why Nicksay was replaced. In one episode Cory says “Morgan, long time no see.” She responds, “Yeah, that was the longest time out I’ve ever had!” These days, she goes by Lily Gibson, and she even made an appearance on Girl Meets World. As for the actress who replaced Nicksay, well get back to her shortly. Before playing Angela Moore, Shawn’s girlfriend, McGee had a few acting credits. She appeared in Martin, Family Matters, and The Sinbad Show. After the show, the actress divorced Courtland Davis. From there on, she would appear in a number of TV shows in movies. 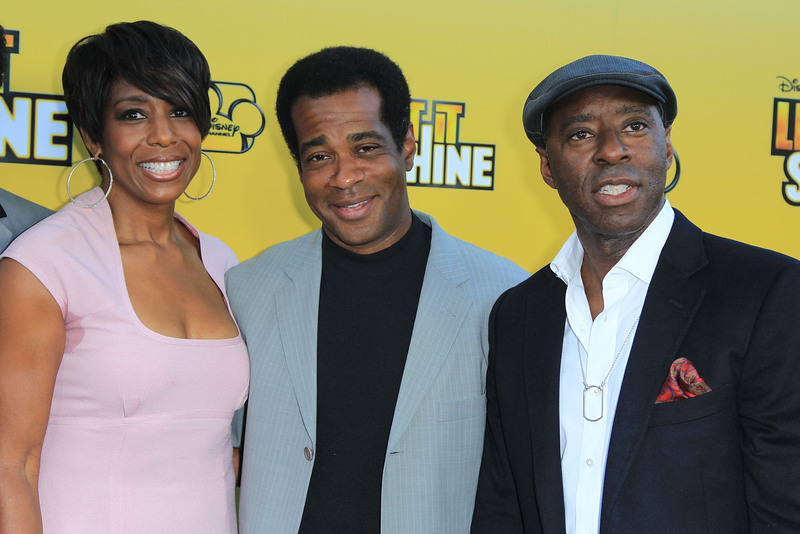 McGee had roles in Friday After Next, The Hughleys, and All of Us. Fortunately, the New Yorker did have a recent role in 2015. She reprised her role from Boy Meets World in Girl Meets World. Eli Williams was a good friend of Jonathan Turner. He taught media relations at John Adams High School. The reason why he was never seen or mentioned again is that he is teaching a grade that Cory, Shawn, and Topanga passed. Désert’s acting credits include Swingers, Playing God, and High Fidelity. Désert has lent his voice to various animated series and video games, including Avengers: Earth’s Mightiest Heroes as Nick Fury. 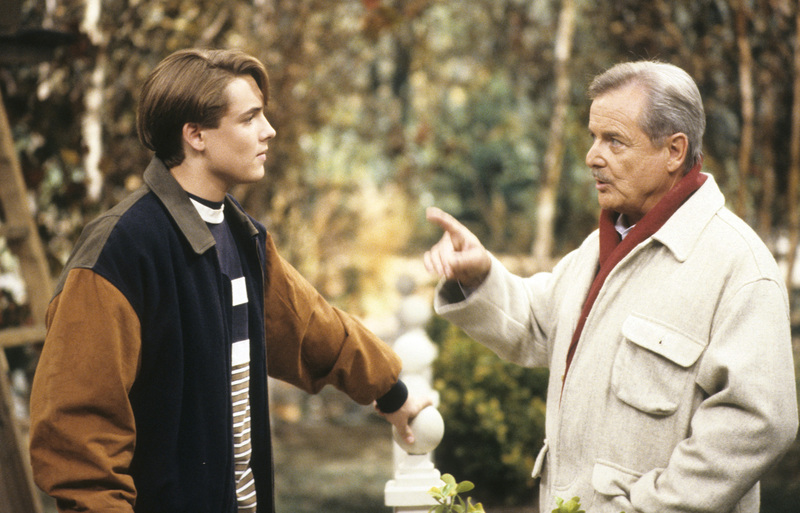 Whatever happened to William Russ, the actor who played Cory’s father? The middle child of the famous Lawrence brothers already had a name for himself before playing Jack Hunter. In 1993, he appeared in the comedy Mrs. Doubtfire, and he maintained a starring role in Brotherly Love. 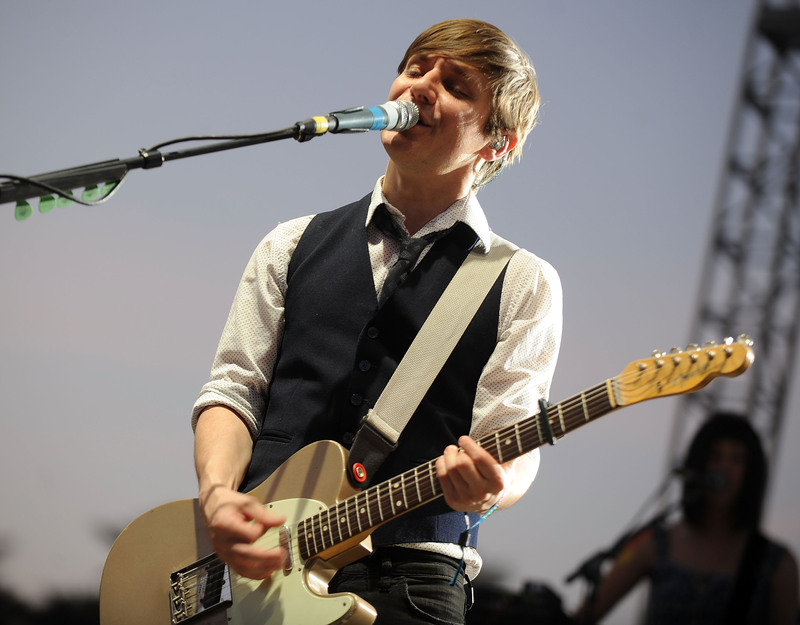 After Boy Meets World, Lawrence started a band with his brothers Joey and Andy called Still Three, releasing the single “Lose Myself.” He was previously engaged to Heidi Muller from 2004-2006. Now, he’s engaged to professional dancer Cheryl Burke, who’s regularly on Dancing With The Stars. Ward joined the cast for the show’s last two seasons. She played Rachel McGuire, but this wasn’t her first time as a regular on a series. She got her start on The Bold And Beautiful as Jessica Foster for 12 episodes. 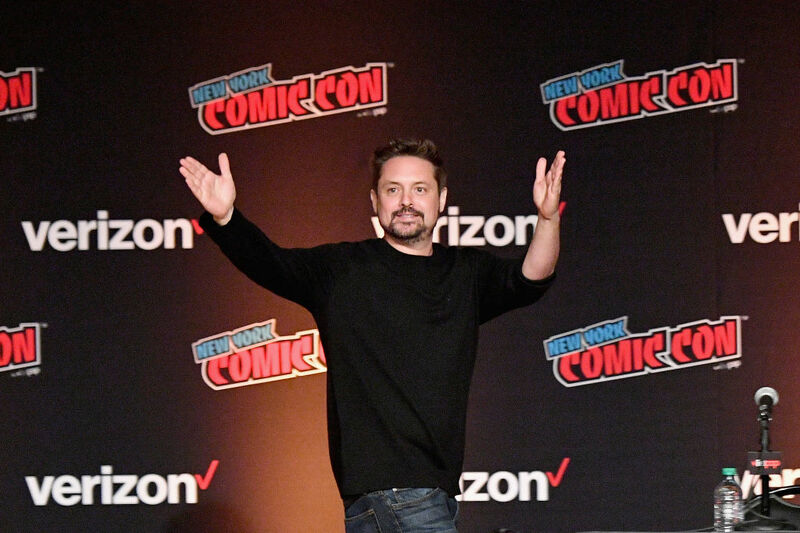 After retiring from acting, Ward engaged in cosplay, making appearances at various comic conventions. In 2006, she married real estate agent Terry Baxter. Now, she’s an active user on Snapchat and Instagram several times a week. Before playing Alan Matthews, Russ had credits in The Dukes of Hazzard and Miami Vice. When Boy Meets World was on the air, the actor also played Dennis Vinyard, the father of Edward Norton’s character in American History X. After the show ended, Russ kept adding credits to his name. Russ is the star of the comedy web series Home at Last, playing a homeless man who moves in with his son who he abandoned at birth. Up next, one of Cory’s school bullies. 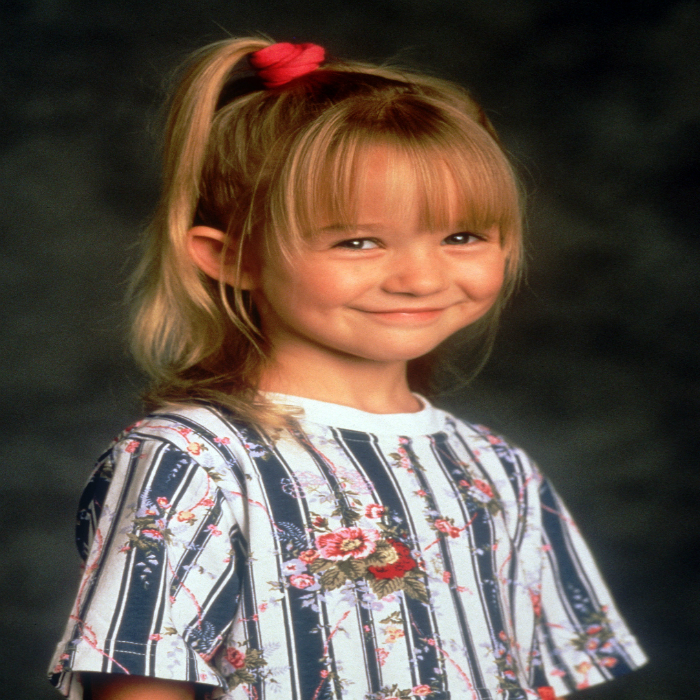 Before playing Amy Matthews, Randle appeared in seven episodes of Home Improvement. The actress would make appearances in The Nightmare Room, Charmed, and Adam Ruins Everything. Like most of the cast, she reprised her role as the Matthews matriarch in Girl Meets World. She’s married to film editor John Randle, and together they have two children. In 2013, their son Aaron got married and Betsy became a grandmother not long after that. Ridgeway was introduced as the youngest member of the Matthews family in the third season. The actress began acting professionally when she did voice work for Sonic the Hedgehog when she was nine years old. She didn’t do much after Boy Meets World, but Ridgeway was a guest actor portraying Suspiria in the series Star Trek Voyager. 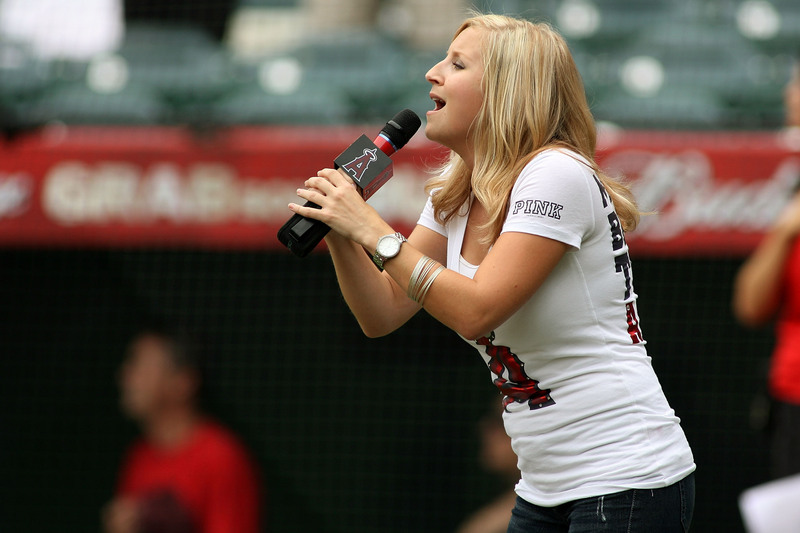 Furthermore, she showcased her singing talents when she was a semi-regular singer of the National Anthem at the Staples Center for the Los Angeles Kings. During his 19-episode run as Frankie Stechino, Suplee appeared in Tales from the Crypt and Kevin Smith’s Mallrats. Like William Russ, the actor also appeared in American History X, then became the co-star on My Name Is Earl with Jason Lee. Together, the pair would be cast in more of Smith’s films from Chasing Amy to Dogma, and they both make cameos in Clerks II. Since 2016, Suplee has played police officer Billy “Beer Pong” Tompkins on The Ranch. OHHH FEENEY! Is up next. Using the stage name Blake Soper, Blake Sennett played Joseph “Joe The Rat” Epstein, one of Cory’s bullies. In 1993, he met Rilo Kiley bandmate Jenny Lewis through Tara Subkoff. Soper and Lewis formed the band in 1997. But, before that in 1996, he composed the score for the film Don’s Plum. A few years later, he founded a second band called the Elected. In 2012, he founded Night Terrors of 1927 along with Jarrod Gobrel. 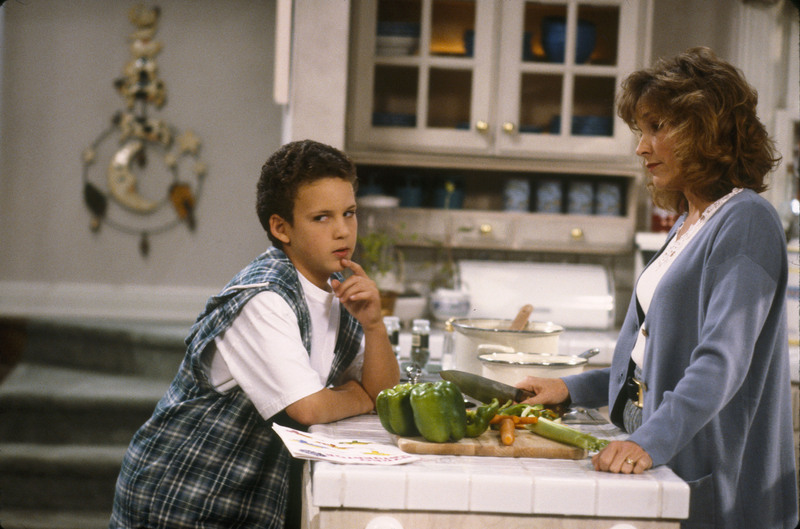 The older brother of Corey Matthews was a comedy treat for fans. During the show’s run, the actor had a part in Are You Afraid of the Dark? Then, he starred in the made-for-TV-movie, My Date with the President’s Daughter. Most recently, he has voiced some animated characters. Most notably, he was the voice of Ron Stoppable of Kim Possible. He was in a relationship with Jennifer Love-Hewitt in 1997, but he married his girlfriend, Susan Martens, on September 25, 2016. 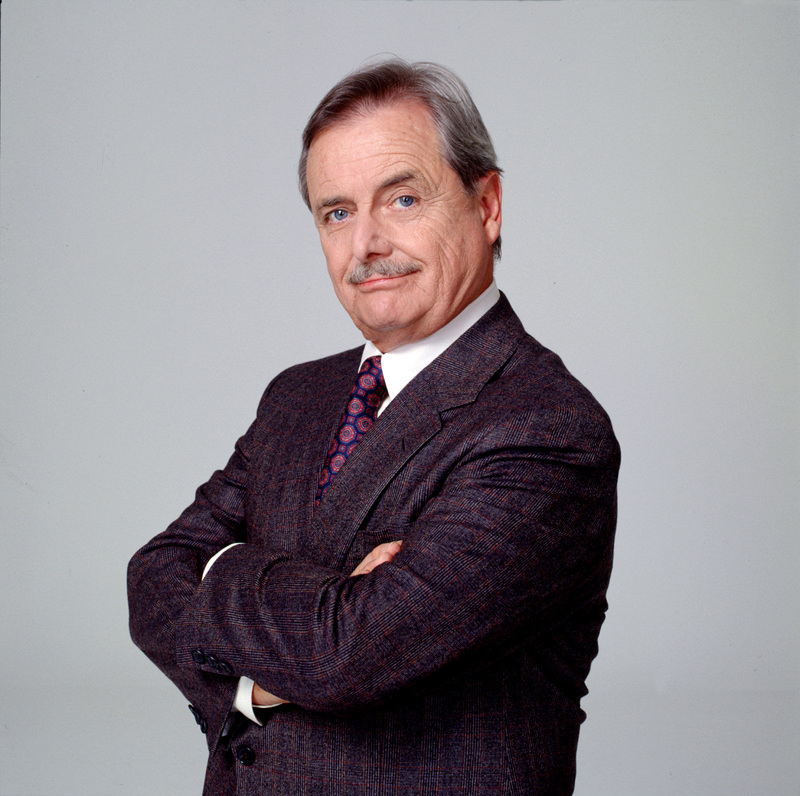 Mr. Feeny had quite the career before lecturing Cory, Shawn, and Topanga. Not only was he John Adams in 1776 and appeared in The Graduate, but he was also the voice of K.I.T.T. in Knight Rider. After Boy Meets World, Daniels worked on numerous TV shows from Boston Legal to Scrubs to Grey’s Anatomy. 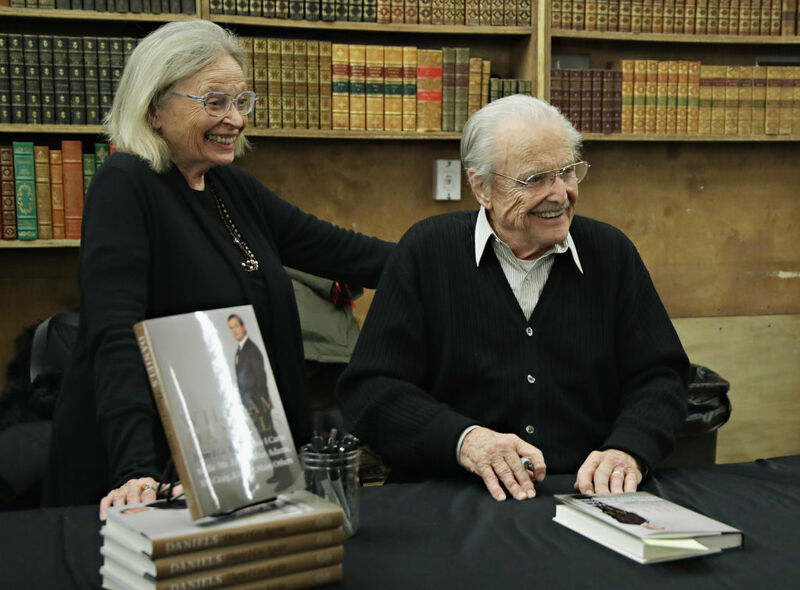 Along with his wife, Bonnie Bartlett, Daniels served on the Screen Actors Guild’s board of directors. Up next, the main character of the series. Strong was only a teenager when he landed the role of Shawn Hunter. During his time on the show, the actor appeared in Party of Five, and The Practice. When the series ended, Strong played Paul in the indie horror film Cabin Fever. In 2006, he returned to TV for a regular series role in Pepper Dennis. Along with his brother, Shiloh, he wrote and directed the short film Irish Twins. Since the show ended, Fishel has appeared in National Lampoon’s Dorm Daze. In 2013, Fishel starred in the controversial drama, Boiling Pot, which is based on true events of racism that occurred on college campuses across the country during the 2008 Presidential election. Now, she’s married to Drop the Mic executive producer Jensen Karp. The actress took to Instagram to reveal that the couple is expecting their first child in 2019. The younger brother of The Wonder Years star Fred Savage, Ben Savage had a few parts on television, including his brother’s show. 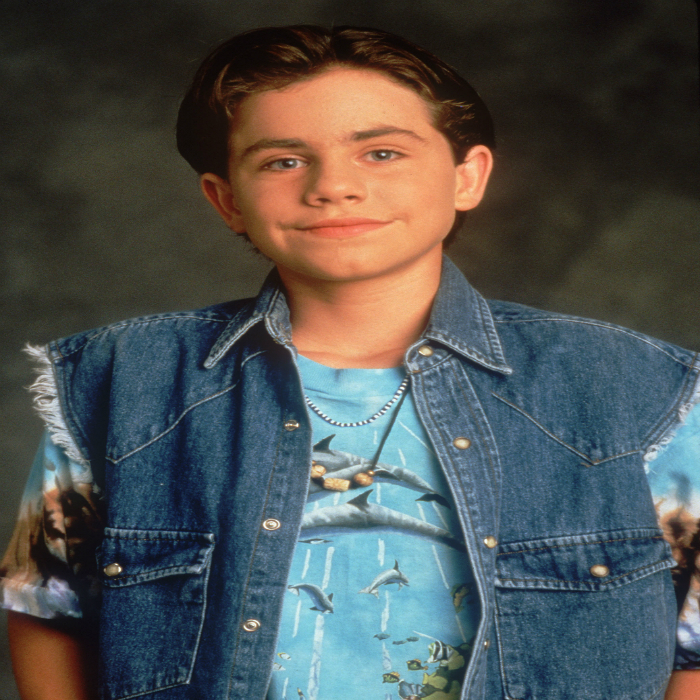 After seven seasons of playing Cory Matthews, Savage starred in the film Swimming Upstream, playing the best friend who was slightly immature. He would eventually take a break from acting and film for three years. During his time off, he graduated from Stanford University with a degree in political science. 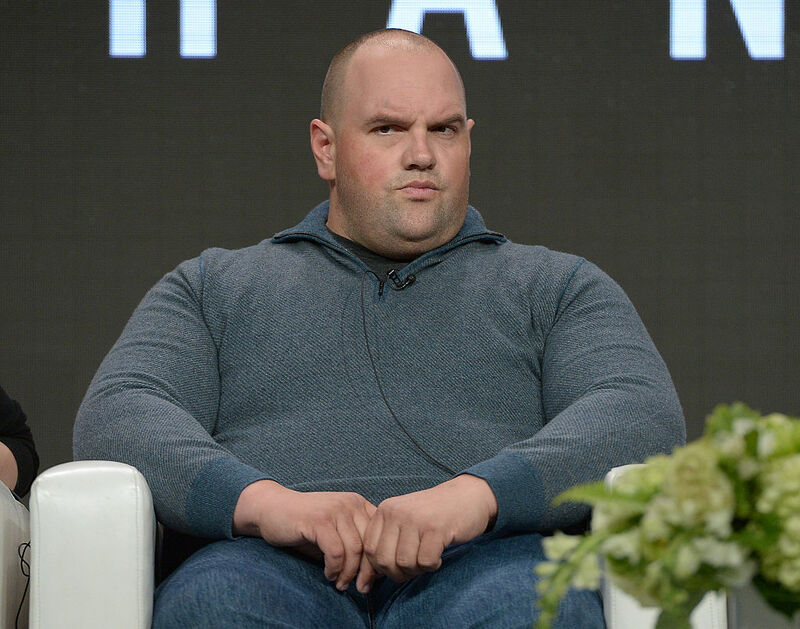 After that, he made a guest appearance on Still Standing and an episode of Bones.